9th Antarctic Activity Week – from 20 through 26 Febr. 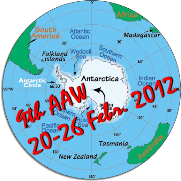 2012.
it’s time to sign in and book your place in the 9th AAW list of participants! Congrats to KØANT for being the first …who else?